The Curtiss-Wright hangar at Owens Field Airport was built in 1929 and dedicated in 1930 at an airshow drawing 15,000 people. 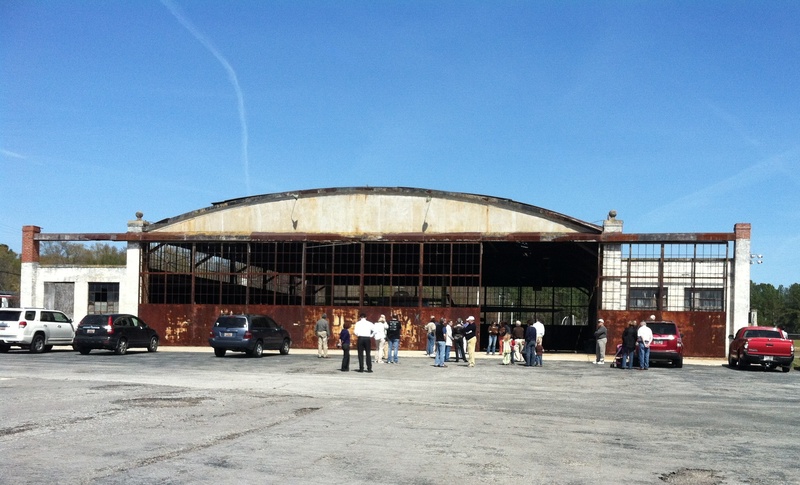 President Roosevelt and Amelia Earhart each flew into Columbia via this hangar at different times during the 1930s. The hangar has been neglected for decades and is falling into disrepair, but four local developers want to bring the hangar back to its former glory and turn it into an event space, family restaurant, and rooftop bar. The hangar has contributed greatly to military and Columbia history, and was thus in 1998 listed in the National Register of Historic Places. In 2012, Richland County Council and the Airport Commission dedicated a roadside marker for the hangar in recognition of this designation. The S.C. Department of History and Archives has some cool pictures, and you can read the nomination form for the hangar to be listed in the National Register. (Scroll down to the narrative at the bottom of the form for a detailed history of the hangar). 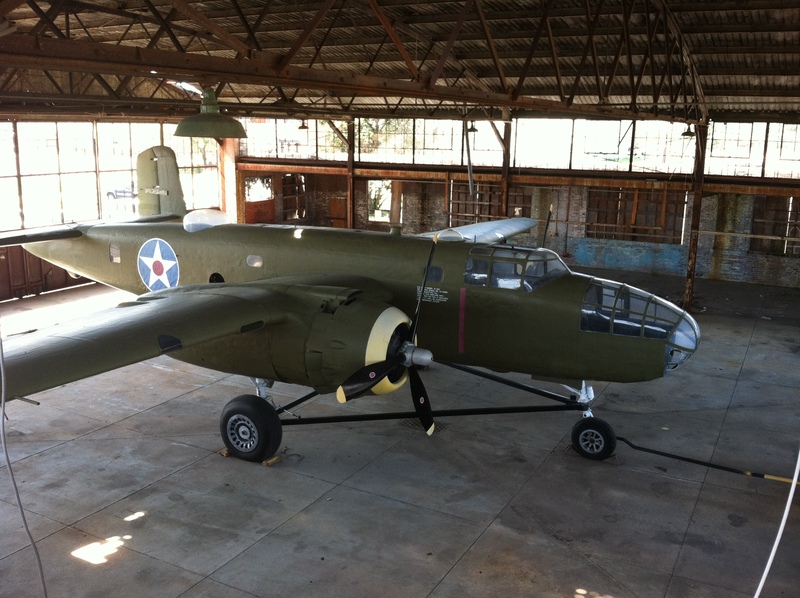 Occupying much of the inside of the hangar is “Skunkie,” a B-25 Mitchell medium bomber. Since its restoration in 1992, (after almost 50 years at the bottom of Lake Greenwood), Skunkie has been passed around from owner to owner, but largely kept from public access. The Rosewood neighborhood is hopeful that these latest efforts will successfully restore the hangar and provide an opportunity for the public to have access to this little bit of Rosewood history. 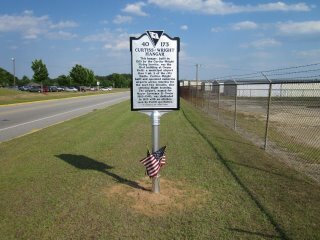 This entry was posted in History of Rosewood and tagged Owens Field Airport by Cyndy. Bookmark the permalink.